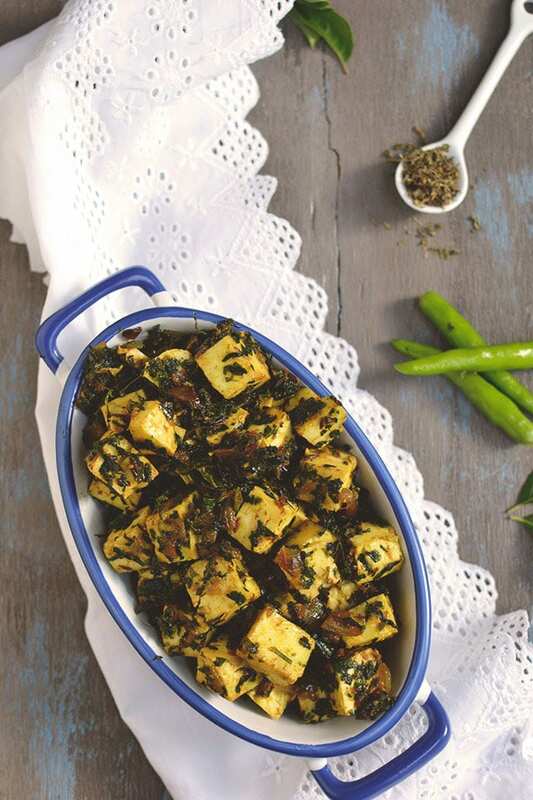 Dry curry made with methi (fenugreek leaves) and paneer. 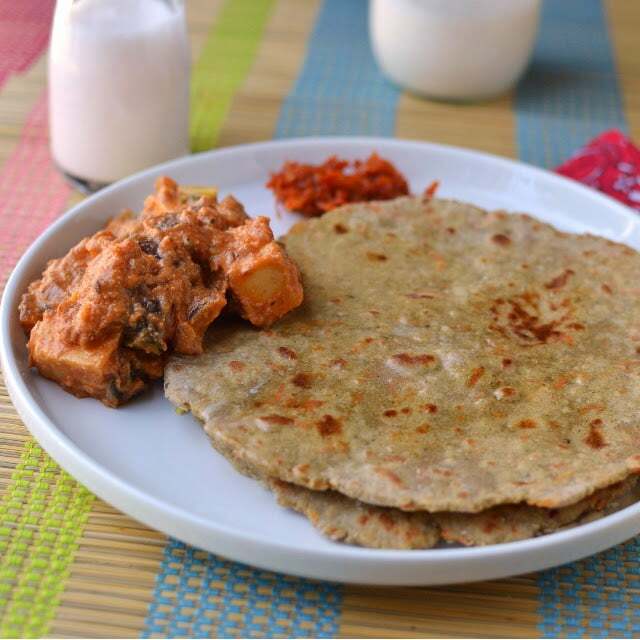 This is a simple dish that can be whipped up in no time and is a yummy when served with roti or as a side dish to rice. 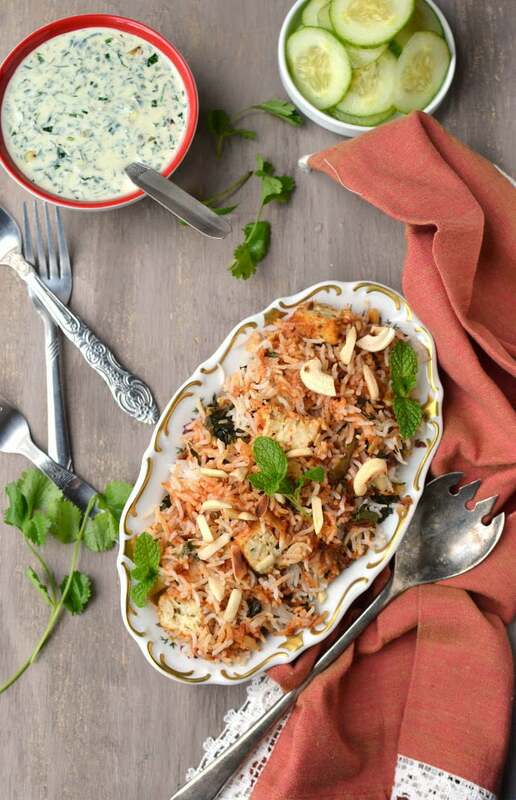 Blogging Marathon# 48: Week 3/ Day 3 Theme: Biryani of different Styles Dish: Makhani Paneer Biryani Here’s a delicious biryani made with paneer for all paneer and biryani fans. 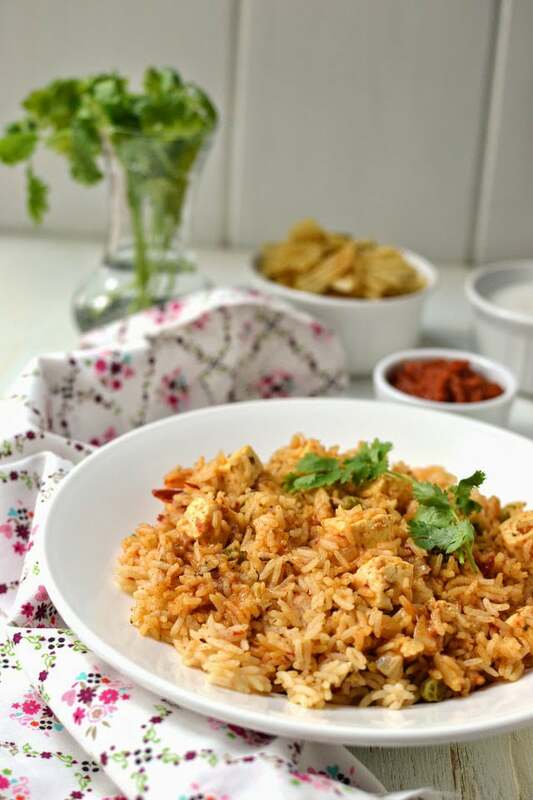 Paneer is cooked with tomatoes, spices and some cream to make a lip smacking curry that is layered with basmati rice and then baked off (or cooked on dum) for an awesome tasting biryani that is sure to wow anyone. 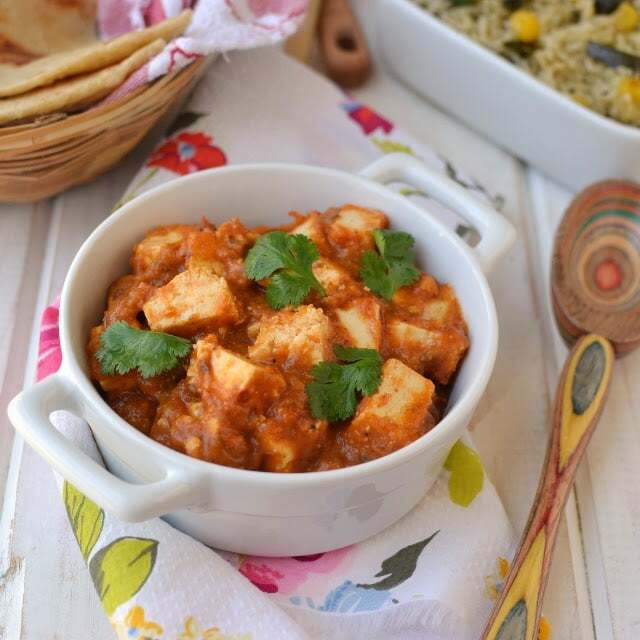 Blogging Marathon# 37: Week 4/ Day 3 Theme: Member’s Choice Dish: Paneer Lababdar For the final day of this month’s blogging marathon, I decided to try ‘Paneer Lababdar’ – a dish suggested by one of the BM members. 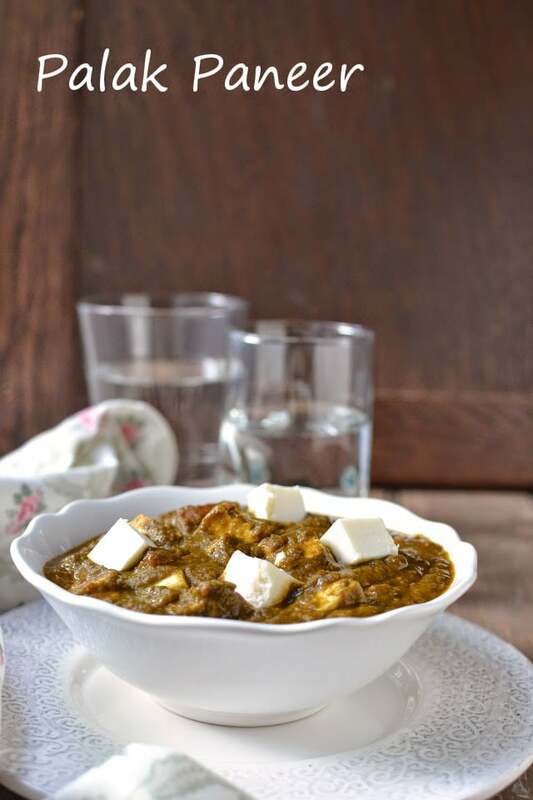 This is the first time I heard about this paneer curry and the name itself sounded very interesting that I had to try this dish. 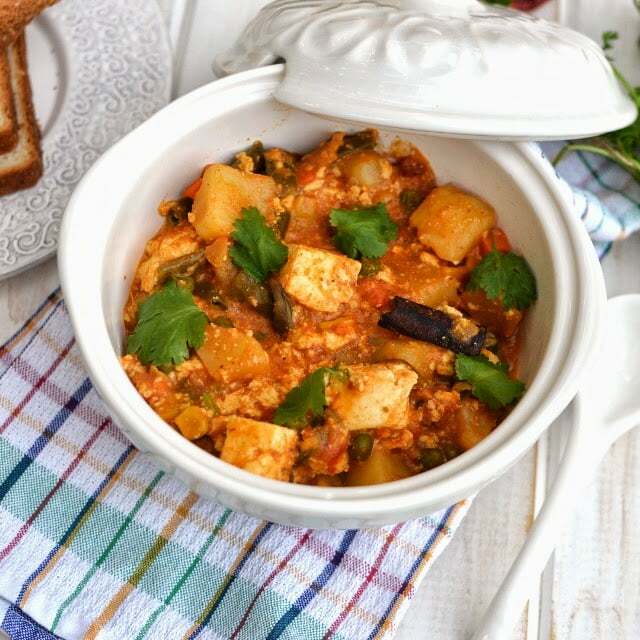 Blogging Marathon# 29: Week 2/ Day 1 Theme: Pick 2 Ingredients & Cook from a Book Ingredients/ Book: Paneer & Greens/ 660 Curries Dish: Potato Paneer Methi Curry (Alu Paneer Methi Curry) My theme for this week’s BM is ‘Cook from a Book’. But to make the theme a little more challenging Valli asked us to pick 2 ingredients from a list and then find a recipe from a cookbook. I got lucky and found the recipes quite easily this time (unlike the last time).